A trip overseas usually means penny pinching on communication. It means keeping an eye on the phone’s clock watching how long you talk and who you talk to. Ajura Pte Ltd from Reve Group has launched a mobile app that takes away the financial burden of making expensive calls home and allows the traveler to stay connected and a call away. 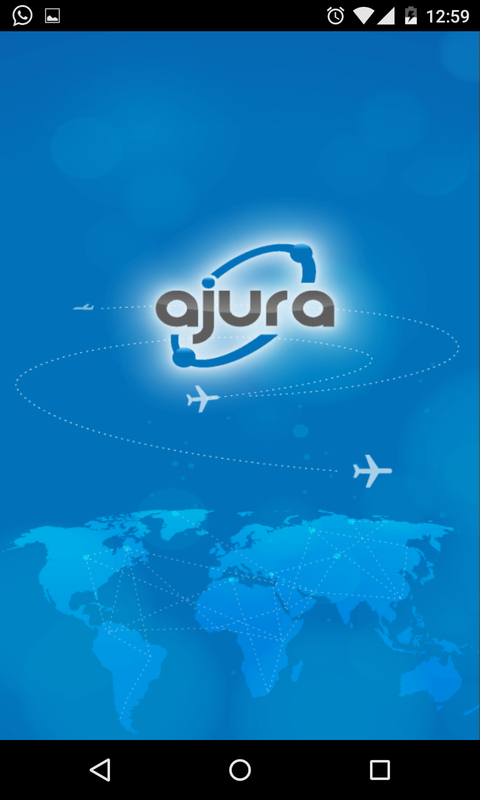 The Ajura App allows global travellers to make and receive international calls at 5 to 10 per cent of what a roaming call would normally cost. Simple to use, all one needs to do is download the app from the app store after which users need to sign up with their regular mobile number and activate the roaming option before they travel out of the country. The intelligent App detects if the mobile user is online and routes the calls to the App. When the user has a local mobile number in the visiting country, the call automatically diverts to the visiting country number. A visiting country SIM is not necessary if the user takes all incoming calls on the App but his or her phone then needs to be hooked on to a wifi or data network. The visiting country SIM card however helps a user get cheaper data and be always available to roaming incoming calls. The product developed in India has several innovations. A user can have phone numbers and an identity in 54 countries - including Singapore, Hong Kong, the UK, Canada and the US - that ring in her home mobile phone. The app offers the facility to top up or re-charge (or load money) SIMs of over 100 countries. The app is relevant for millions of NRIs visiting their hometowns as through Ajura App they can stay connected to their family and business even when on a holiday in Indian towns and villages at affordable cost. Indians travelling abroad can call back home for as low as three cents or two rupees on a wifi network versus using frightfully expensive roaming. A resident Indian who has a lot of global business contacts too will find the app useful. For instance, exporter of goods or services, a travel agent or a hotel with prospects or customers abroad, or anyone needing a global geographic identity, can get an ‘Ajura global number’, of any of the 54 countries, and share it with their contacts abroad. When they dial this number, it is a local call for the overseas customer facilitating better communication. What differentiates Ajura from call services of other chat apps is that the phone calls received on the user’s home mobile number are automatically forwarded to the app, when the user is online – and the person calling need not have downloaded Ajura app. “Roaming users of Ajura App can receive calls made to their regular mobile number on the Ajura app or on a visiting country SIM purchased in the destination country. 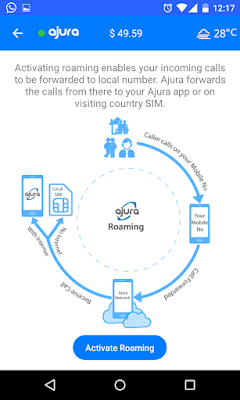 Similarly, users can also make outbound calls to any country from the Ajura app at much cheaper rates than using mobile roaming or even a local SIM card,” said M Rezaul Hassan, Founder and Group CEO of Reve Group. Prior to launching the app, the company did a field survey among foreigners travelling to India , which showed that only 20 per cent of the overseas visitors kept their home country mobile switched on. Seventy per cent had bought a local SIM and most were using chat apps – albeit only at night at locations with wifi to communicate back home. “The latest offering from the Reve Group removes a major pain point for business and holiday travellers. As the financial burden of receiving and making a call on a business trip or holiday reduces dramatically, travellers will feel liberated,” explains Sanjit Chatterjee, CEO, Ajura.